Global Property Inspections would love to tell you what it's like to own your own business, but it would be much more powerful if you heard about it from some of our most successful franchisees. Passion nearly always produces results. At least, that’s the way it is for GPI inspector John Hamilton. In the 25 years that John was in sales and marketing for a national wine importing company, he really had a passion for property. He built and remodeled nearly half a dozen homes, living in them and then selling the real estate. 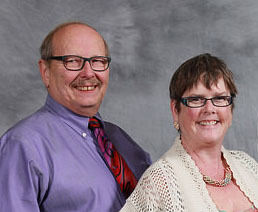 Gerry and Susan Millen considered starting their property inspection business independently but ultimately decided that they wanted the support of a franchise system and the opportunity to promote their business as part of a national organization. We would like you to become Global Property Inspections next success story.Click here to take the next step and receive more franchisee success stories.